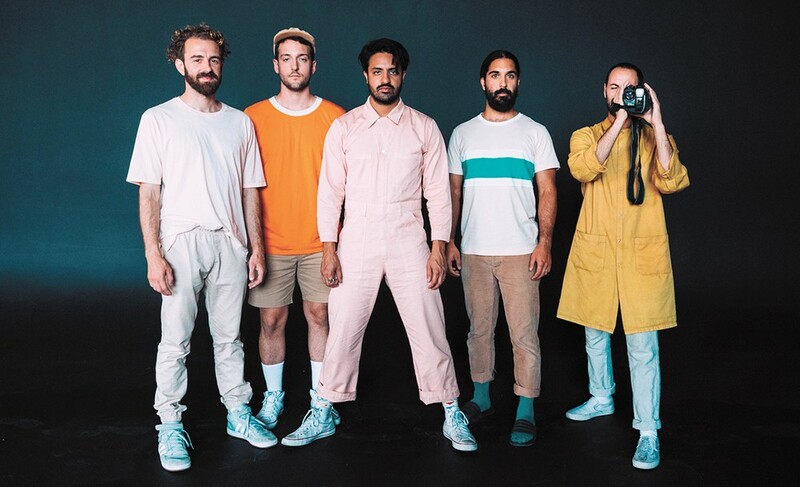 Young the Giant, performing at the Knitting Factory on Friday, are amongst the bands we rank in this article about articles. The first thing — and sometimes, the best thing — many bands do is pick a name. In fact, some say picking a name is the best part of being in a band. Once you have a cool name that looks good on a T-shirt and a telephone pole, you have to get around to the hard stuff, like writing songs, rehearsing, booking gigs and beefing with other bands on social media. Still, there is no excuse for the worst recent trend in band names, which we'll call the new wave of "the" bands. Unlike past waves, however — like the Smiths or the Strokes — these youngsters are putting the word "the" in the middle of their name. The results are occasionally decent, but more often they're awkward and/or confusing. Band-naming trends aren't new, of course. Over the past couple decades, indie-rock has been overrun by "wolf" and "deer" bands: Wolf Parade, Wolf Alice, Wolf People, Deerhunter, Deerhoof, Deer Tick and so on. The Strokes spearheaded a surge of "the ____" garage-rock bands in the early 2000s, with Hives, Vines and Killers filling in the blank, among others. In the '70s and '80s, dudes just named their hair metal bands after themselves: Winger, Dokken, Nelson, Van Halen, etc. And back in the '60s, all the good bands started with the letter B, like the Beatles, the Band, the Beach Boys, the Byrds and Bink Bloyd. And after you're done walking it, please stay there. Sounds like Puff Daddy used a reality show to build a band to compete with Ben Folds Five. Remember that "Pumped Up Kicks" song? Your mom probably does. This L.A. band is like a "Xerox of a Xerox of MGMT" Spotify playlist came to life. Imagine someone trying to buy a Band of Horses album and accidentally grabbing this chiptune-meets-metalcore band instead. This SoCal pop-rock band shares a lot of the same sonic qualities as its contemporaries on this list, but began to separate itself on its 2018 album Mirror Master. Catch 'em Friday at the Knitting Factory! Crunchy, bluesy and (kinda) cool, these spiffy dressers are surely the most successful band ever to call both Bowling Green, Kentucky, and London home. For this list, off-brand Black Keys is better than, like, off-brand Bastille. These lovable Portlanders came out of nowhere to win a Grammy with their 2017 mega-hit "Feel It Still," and by nowhere we mean "their deep and delightful discography full of strangely kaleidoscopic rock." They live about as far from pop chart vapidity as you can imagine. This Massachusetts combo's off-kilter pop-rock is built on punk-rock underpinnings and highlighted by frontwoman Hannah Mohan's powerful voice. When they visit the Bartlett on Wednesday, they'll presumably offer up a heaping helping of the endlessly hummable tunes on new album When This Life Is Over. The original print version of this article was headlined "Music the Article"